How to recognize low employee morale and what you can do to stop it. At this point, the ways in which low employee morale affect a company’s prospects have been well established. In fact, the research-based performance management company Gallup has produced a lengthy survey and study with in-depth findings on the subject. Higher absenteeism, decreased productivity, and lower sales are just the tip of the iceberg when it comes to the cost of low employee engagement. 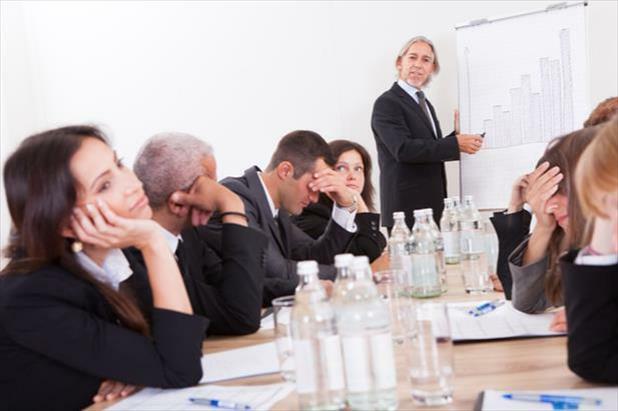 It stands to reason that having a staff full of happy, engaged individuals is preferable to a team of unhappy malcontents, but how far does the employee disengagement problem go and what can organizations do to mitigate the damage it causes? According to Gallup’s State of the American Workplace survey, only 33% of US employees identify themselves as engaged at work. Another alarming statistic is that 16% of workers say they’re totally disengaged at the office, which means they are disgruntled and more likely to actively work against their employers’ interests. In between those two camps are the majority of US professionals—51% are neither engaged nor disengaged. They’re just there. Gallup calculated the cost of low employee engagement at an estimated $483 billion to $605 billion each year. ADP put the number at approximately $284 billion ($2,246 per disengaged employee). It’s no secret that engaged employees are happier and more productive, but the cost of low employee engagement extends beyond lost revenue and unfinished work. 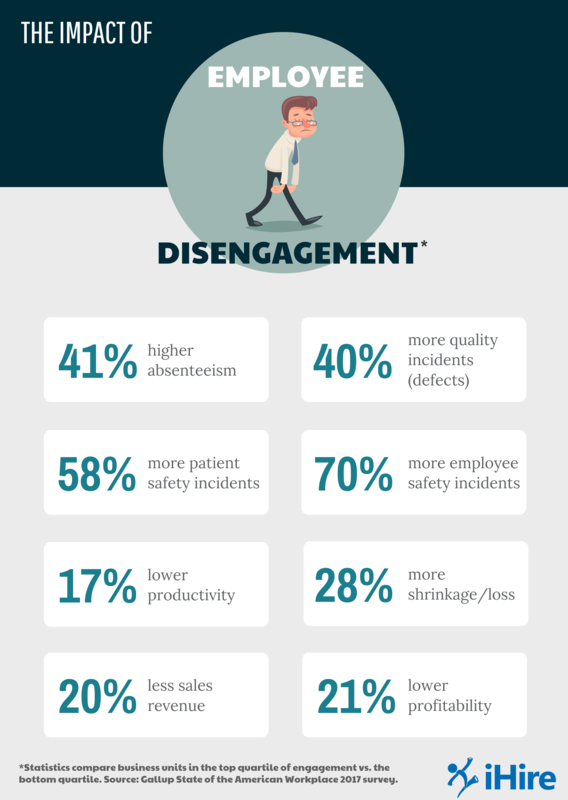 Low employee morale leads to more accidents, higher defect rates, and reduced profitability. It’s a problem that impacts small businesses and Fortune 500 corporations, and it’s widespread throughout the US workforce. When Gallup examined the top and bottom 25% of companies in terms of employee engagement, they uncovered the true extent of how low employee morale affects an organization. The first step any company should take in battling employee disengagement is to admit that it might be a problem. From there, it becomes critical to get input from your team but not to fall into the “survey trap” as Gallup describes it. You can’t just complete a survey once or twice a year and call it an employee engagement program. Furthermore, you won’t be helping yourself if you define engagement as the proportion of staff who aren’t dissatisfied or who are merely content. Ignore the temptation to cherry-pick information that reinforces what you want to be true. Take the survey component seriously and ask your staff the tough questions about how they feel at work so you can identify areas of improvement. Recognition – everyone likes to hear when they’ve done a good job, yet 63% of employees feel like they don’t get enough praise. Feedback – touching base with staff is essential, but 32% of employees have to wait more than three months before getting feedback from their manager. Happiness – having a good time at work is energizing. 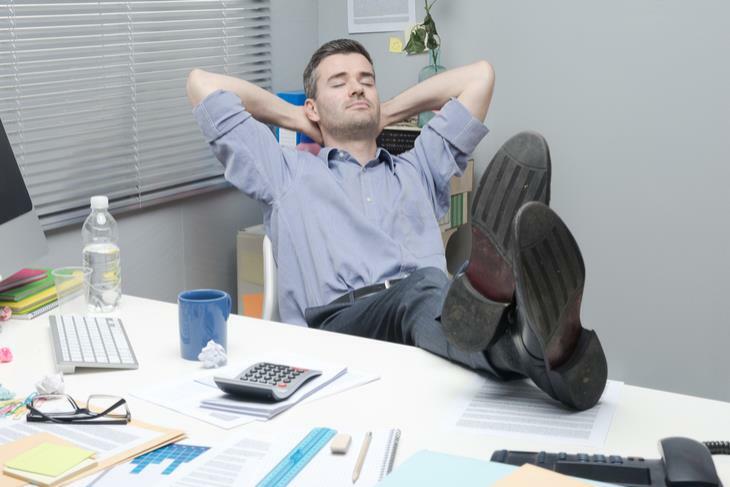 23% of professionals report that they leave work feeling drained every day. Personal Growth – employees want to know that they’ll have opportunities to advance. 56% don’t believe that about their current roles. Satisfaction – team members who are truly satisfied can’t see themselves working anywhere else. 15% of employees don’t want to stay with their current employer for another year. Wellness – a healthy work-life balance is critical, but 60% of employees say their job is negatively affecting their personal life. Ambassadorship – if an employee is truly happy at work then they’re proud of their company. 57% of professionals wouldn’t recommend working for their organization. Manager Relationships – an open-door policy with the boss can do a lot for morale. 31% of employees wish their manager communicated with them more frequently. Colleague Relationships – having friendly exchanges with coworkers builds trust, but 34% of employees don’t think they have enough social interactions with their colleagues. Company Alignment – it’s difficult to work for an organization you don’t agree with. 33% of employees don’t think their company’s core values match their personal values. After you’ve taken the pulse of your team, you can begin identifying weaknesses within your organizational structure or company culture. Maybe you need to inspire more social interaction amongst your staff members or encourage managers to change their feedback policies/approaches. Perhaps you have one especially unhappy employee who is negatively impacting the rest of the group or your company hasn’t done enough to foster a healthy work-life balance. If you are serious about tackling employee disengagement and avoiding/mitigating the cost of low employee engagement, the first thing you must do is reach out to your employees to find out what the problem may be. Only then can you recognize the signs of employee disengagement and develop the right employee morale boosters to get the most out of your team.